While we are away we are planning to give ourselves a little holiday photo challenge, We thought we would tell you about it so that if you fancy doing it too, you can join in! We love photo challenges on Instagram but a month always seems a little tricky to keep up with, we also love flatlays (who doesn't) So from today until next Wednesday we will be doing 7 days of holiday flatlays! The best thing about our challenge is that you can join in whenever you like! You can do it along with us or wait until your holiday and join in then. 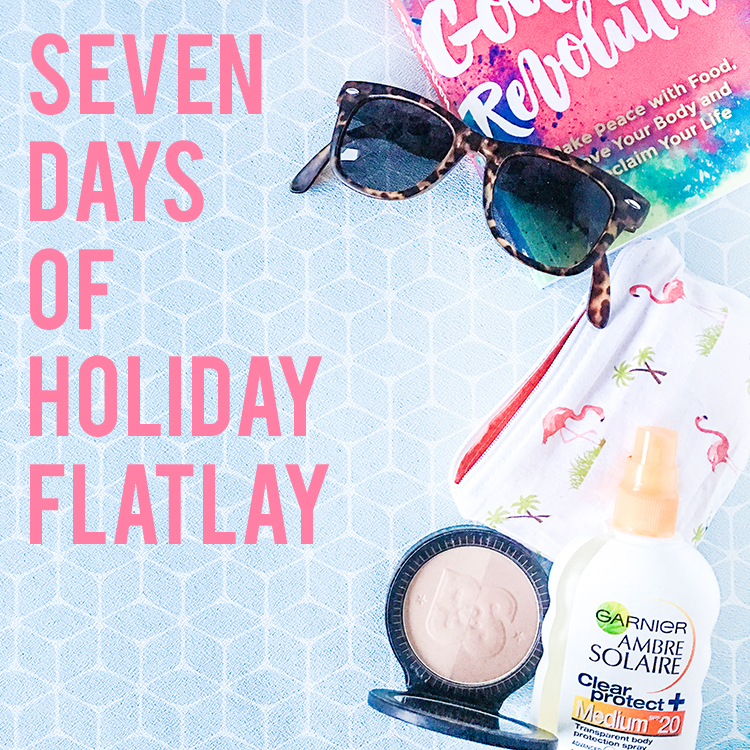 All you have to do is tag your pics with #7daysofflatlay and #livelovemake. We have come up with some prompts but you can use your own ideas or swap them around to suit your trip if you like. Feel free to join in even if you are having a staycation or just bumming around at home too! Head over to our Insatgram @liveit.loveit.makeit for a daily reminder this week and see the rest of our holiday spam.